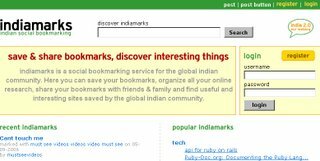 Indiamarks is a social bookmarking service for the global indian community. 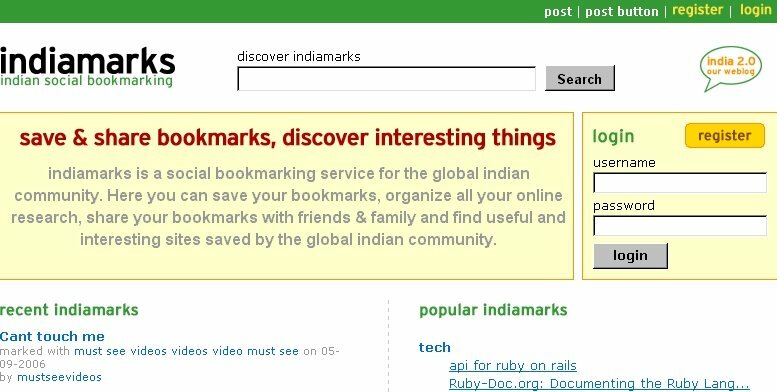 You can save your bookmarks with the click of a button and organize all your online research with ease. You can share your bookmarks with friends and family. It from India and offers service for Indian. If you interest about India, maybe you will find many interesting things.